The online retail giant unveiled amazon.com.au to Australian consumers today, opening the door for consumers to shop for millions of products across 20 categories including books, music, clothing and accessories, consumer electronics, kitchen and baby. Amazon has already secured a rich range of Australian and international brands for the local offering, including Bonds, Sol-Sana, as well as Puma, Lego, L'Oreal and Sonos as part of the local marketplace launch. 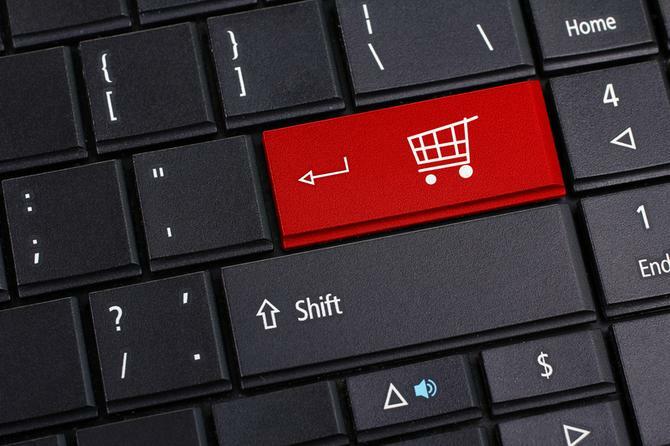 Overall, millions of products offered by Australian brands, as well as small and medium-sized Australian businesses, will be sold on Amazon Marketplace. Globally, approximately 50 per cent of Amazon’s total units come from Marketplace sellers. Amazon Australia country manager, Rocco Braeuniger, said a focus on customers and long-term growth are key principles in Amazon's approach to retailing. “By concentrating on providing a great shopping experience and by constantly innovating on behalf of customers, we hope to earn the trust and the custom of Australian shoppers in the years to come,” Braeuniger said. Speaking ahead of the impending launch, Forrester analyst, Zhi-Ying Ng, dissected the implications for the already struggling brick-and-mortar rivals, saying Amazon's entry into Australia will “shake up the retail market” and provide consumers a plethora of choices at much lower prices, faster delivery and better digital experiences. “Incumbent Australian retailers will face stiff competition, and will be forced to offer customers more variety at competitive prices, and potentially same-day delivery at no cost,” Ng said. But Amazon still faces a number of challenges, including logistical challenges, Ng noted. “To reach Australian consumers who live outside the metro area in the country without having to pass on extra delivery costs and without delivery delay will be Amazon's challenge. Local players with strong and established delivery networks and capabilities could potentially blunt the disruption that Amazon may cause." As part of the launch, Amazon said customers can get free delivery on eligible orders above $49 that are sold by Amazon, and a one-day delivery service is available in select areas across the country. Customer orders will be fulfilled from Amazon’s new fulfilment centre in Dandenong South. Amazon also has corporate offices in Sydney, Melbourne, Perth, Brisbane and Canberra, home to more than 1000 employees. Amazon Web Services launched in the Australian region in 2012 and the Australian Kindle Store opened in 2013. But simply competing on price and delivery isn’t enough, Ng said, noting local retailers must step up their game in terms of digital transformation. But there’s some good news on the horizon, according to Marin Currie Australia consumer sector research analyst, Jim Power, who said the Australian retail sector, by and large, can cope with the arrival of Amazon. “The most vulnerable businesses will be the second-tier ones in the consumer electronics sector, where Amazon has a strong record of success,” Power said, who has studied the ‘Amazon effect’ in the US and maintains a positive outlook for the Australian retail sector. Power said Amazon’s key strength in the US is the fact its strategy is driven by data, not gut feel, which is a key source of the marketplace. “For Amazon’s Marketplace to be successful in Australia, Amazon will need a good product range, including local specialty suppliers. I think this may prove difficult,” he said. “Amazon has done well in the US and UK against inefficient players, but efficient bricks-and-mortar retailers can compete if they can use their existing scale and supply chain to lower ‘last-mile’ delivery costs and time. However, they need to react quickly. Amazon Marketplace connects customers to millions of products and helps sellers reach more than 300 million active customers worldwide, the company said. In 2016, more than 100,000 small businesses across the globe achieved sales of over US$100,000 through selling on Amazon. Small businesses selling on Amazon Marketplace globally have employed more than 600,000 people to support their Amazon activity. In response to the looming Amazon threat, Myer launched its own marketplace offering yesterday, stocking a range of previously unavailable local products in its stores through the portal.